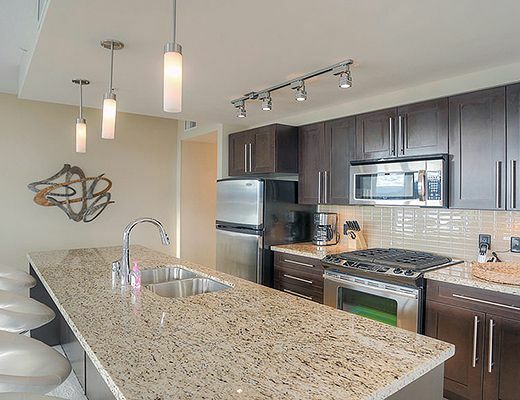 Common area amenities at Waterscapes includes an outdoor pool, two hot tubs, BBQ area, two billiards tables, full service gym and large common area for lounging or communal gatherings. 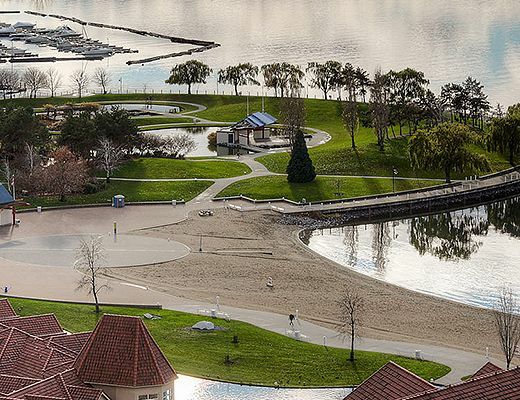 Just across the street you will find beach access, the Kelowna Bird Sanctuary and boardwalk which leads to the brand new Waterfront Park. 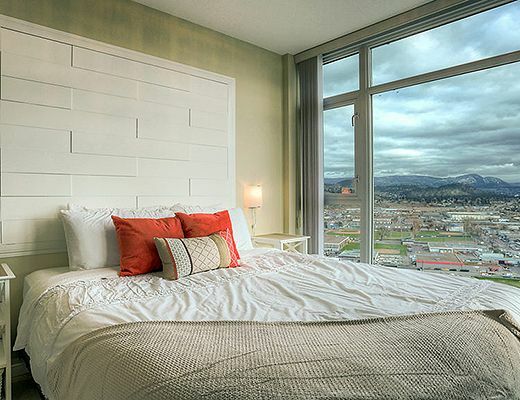 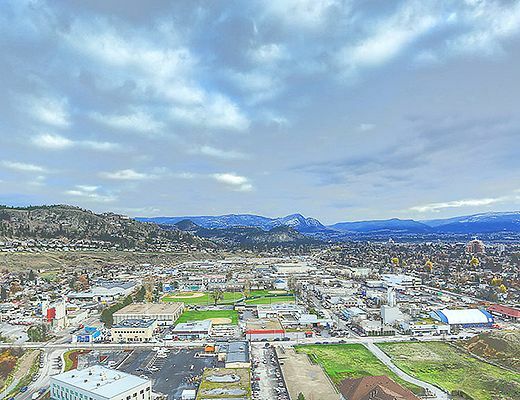 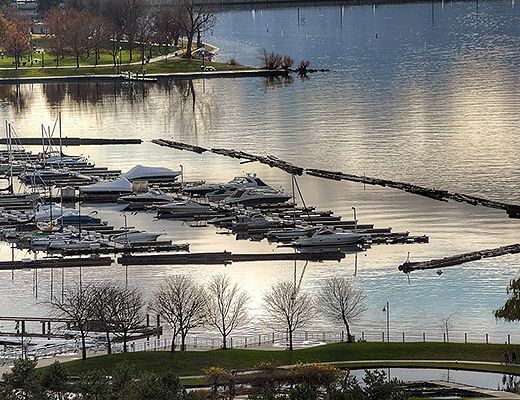 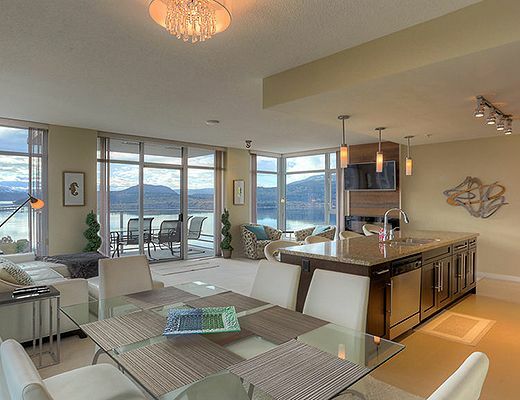 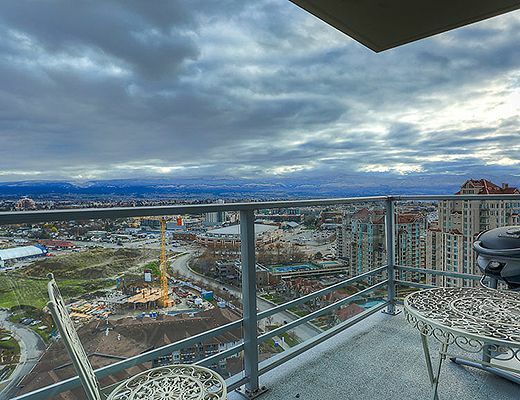 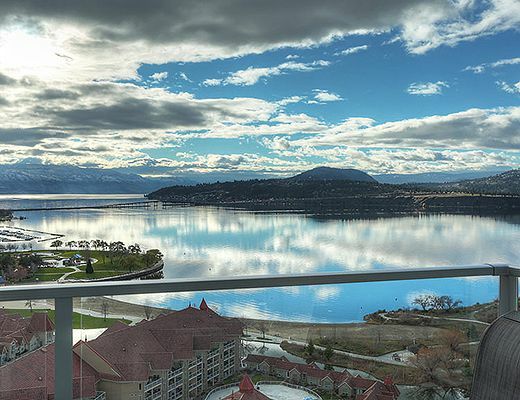 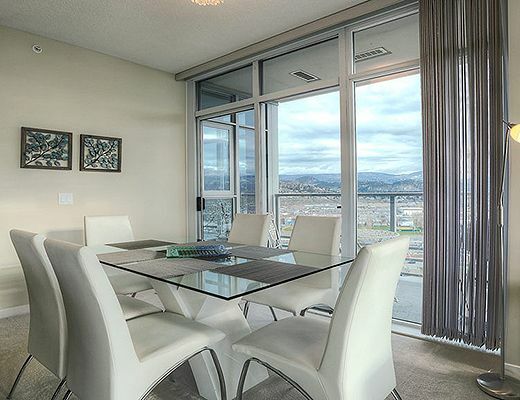 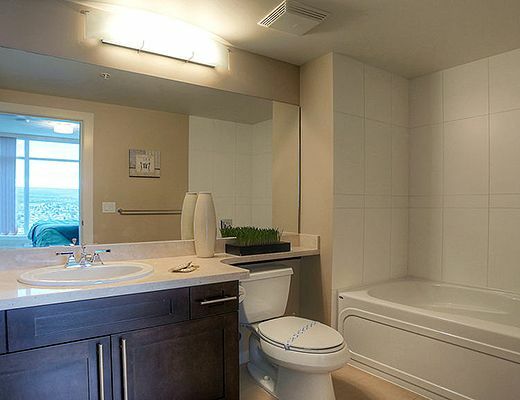 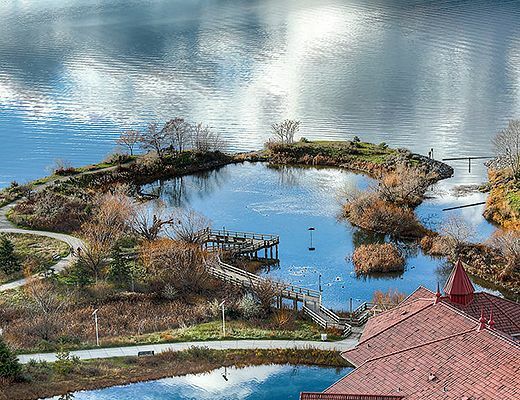 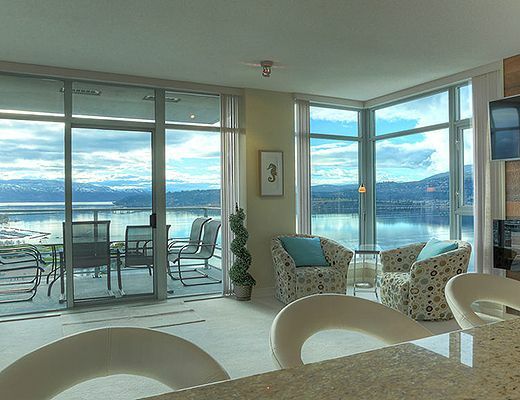 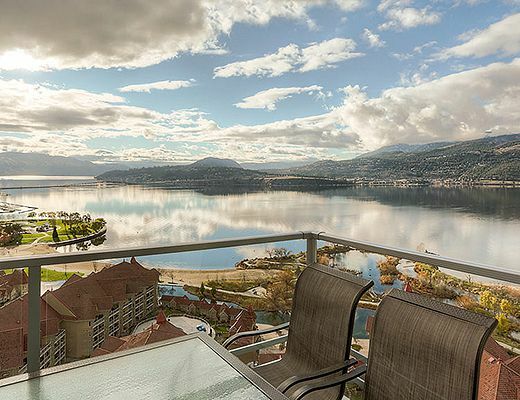 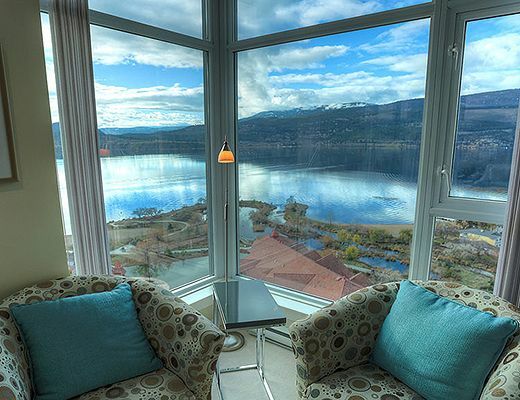 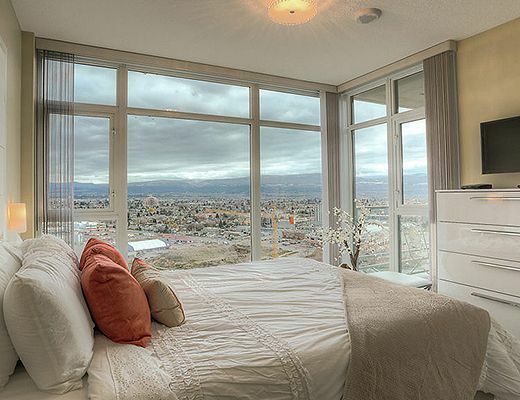 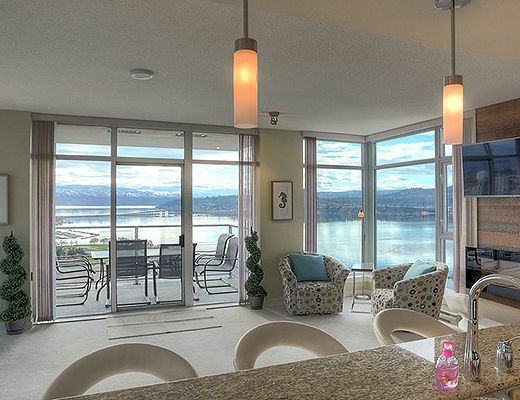 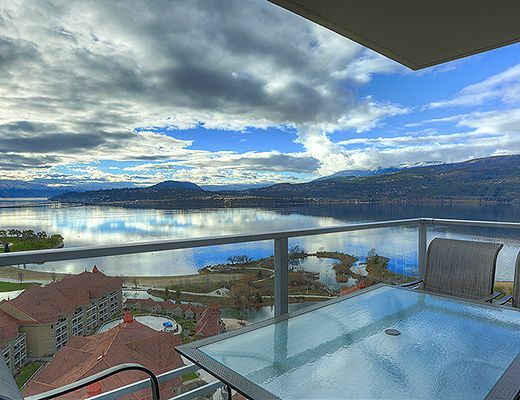 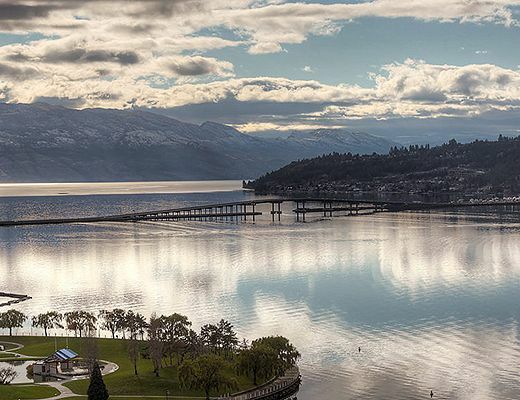 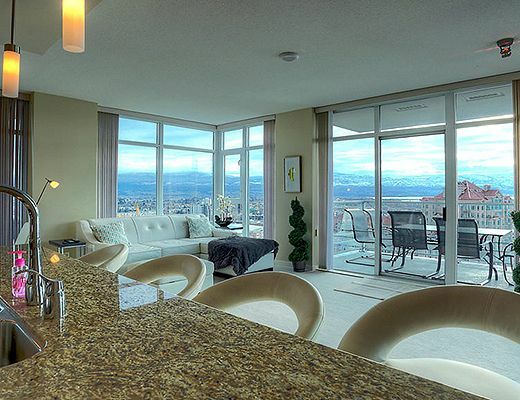 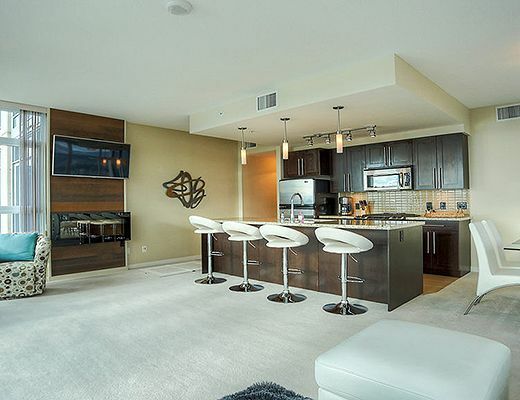 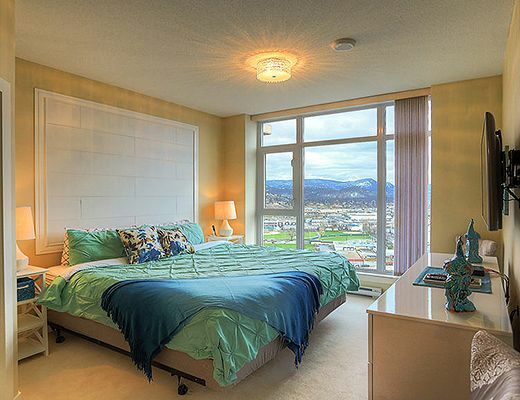 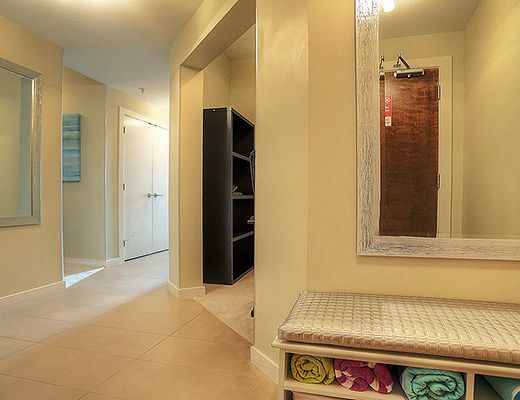 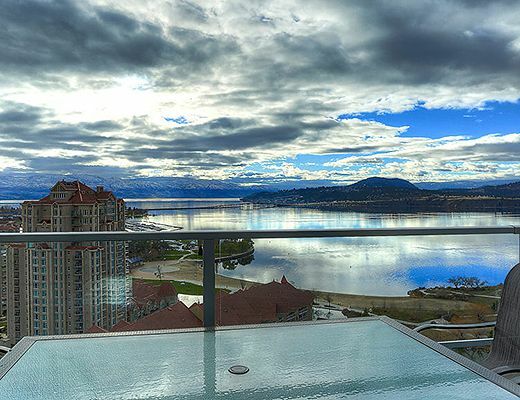 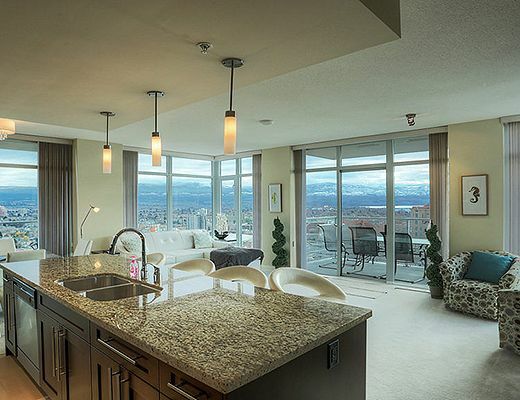 Located in the Waterscapes Resort, this air conditioned suite provide the best in luxury as well as spectacular views of the Okanagan Lake, Kelowna's cityscape and the surrounding mountains. 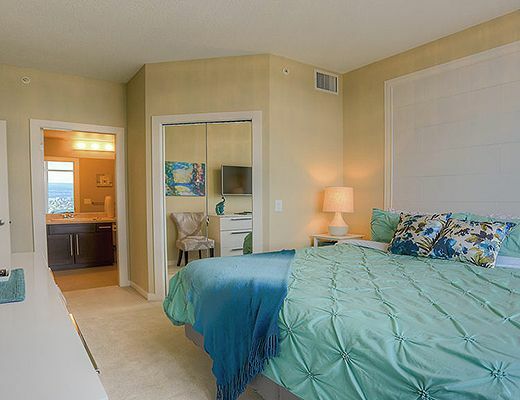 The master bedroom is furnished with a King Bed and offers a ensuite bathroom, while the second bedroom features a Queen bed. 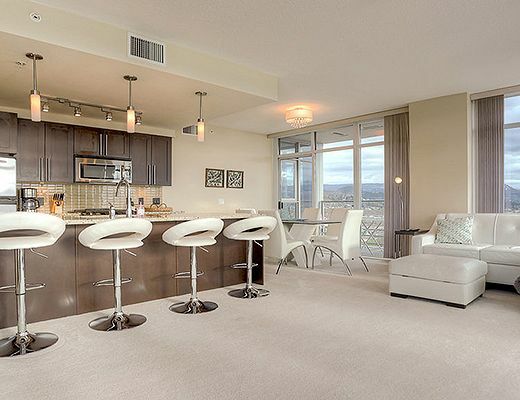 An additional white leather sofa bed is located in the living area. 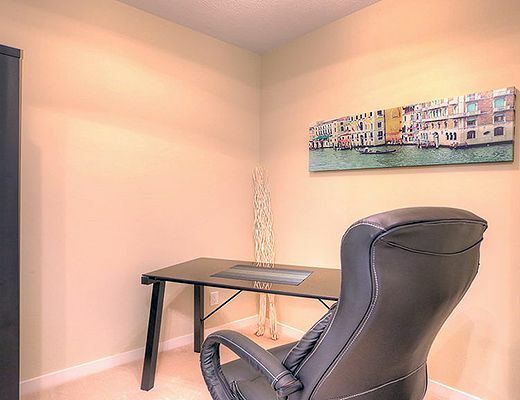 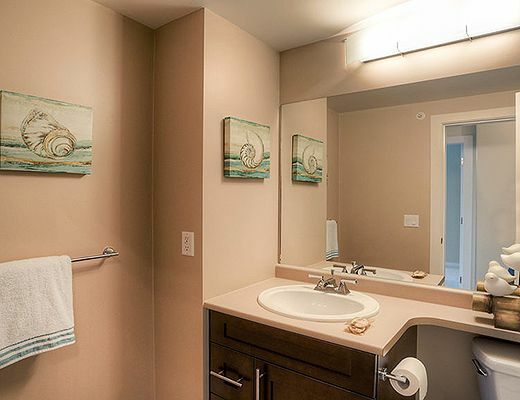 Other amenities include a small open study with desk, chef quality appliances and a gas range in the kitchen.